I moved to Southeast MN recently to be closer to my significant other and his family. I work as a physical therapist in a hospital by day and sew by night. I have a blog that I have not updated in a while. Have done most craft projects. I am up for trying anything new. 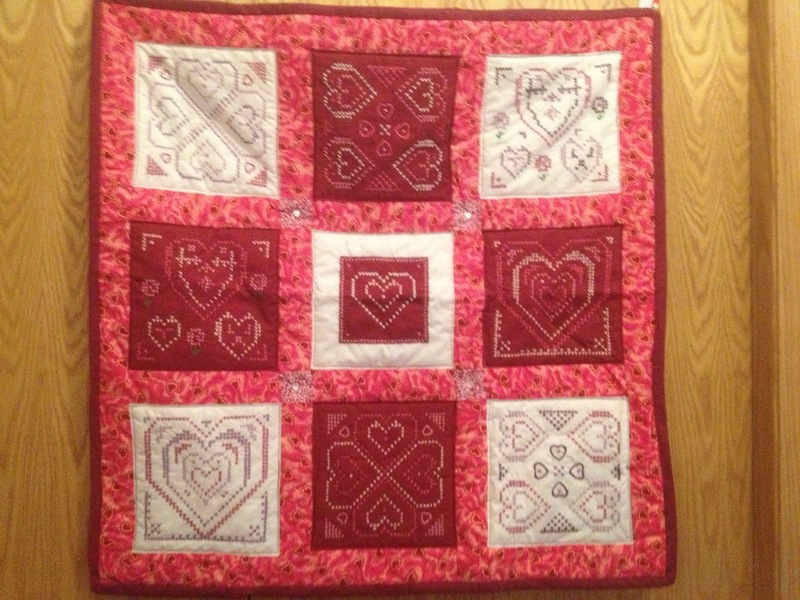 I have been quilting for about 9 years that I can remember. I started quilting in college when the only places to buy fabric was Walmart or the local quilt shop. When I stopped at the LQS, the owner told me about a shop hop that was going on and that if I could to go to the shops that close that she would give the rest of the mystery pattern. 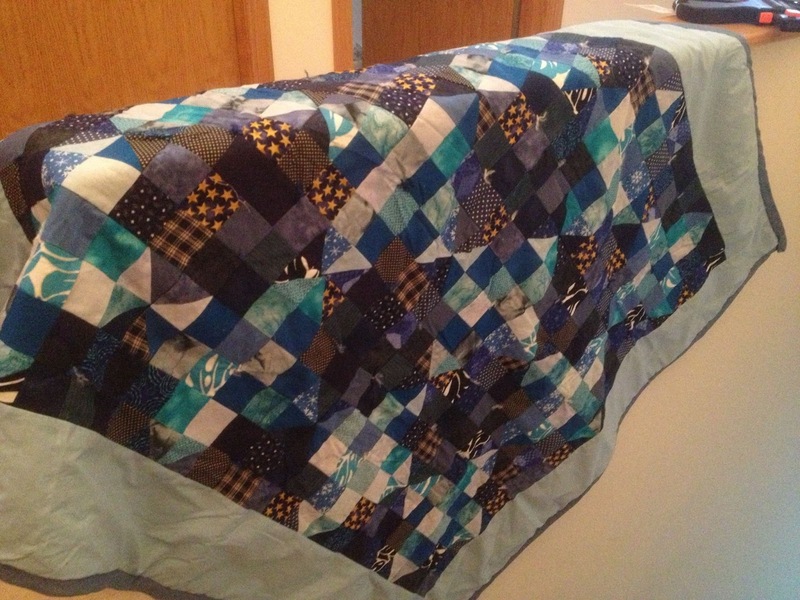 That was the first quilt I made and finished. The cross stich quilt was one of first one that I made, I think. 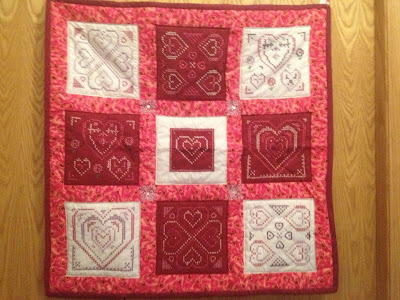 I think that I have made about 10 quilts now. I have about 19 UFOs. I have a lot of finished tops that need quilting. about 8-10, depending on what I am motivated to do. My favorite quilt top that I have finished was my Groove top. I currently sew in my second bedroom, which is a step up from the middle of my living room. I love being able to leave my supplies out, makes it easier to sew for a little bit of time. 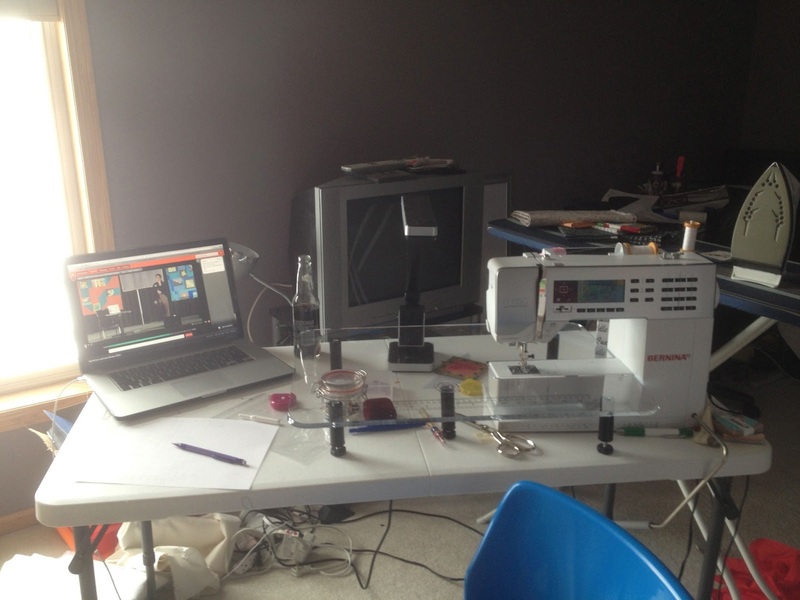 I like to listen to movies when I sew. I am a fat quarter hoarder. I pick up fat quarters as souvenirs from LQS that I visit if I can find a fat quarter that I like. 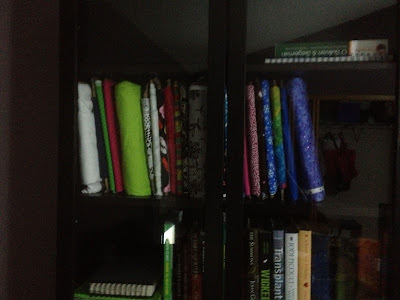 I am working on organizing my stash and projects. I did move 15 liquor boxes full of fabric. My mini bolts of fabric that are a yard or more. 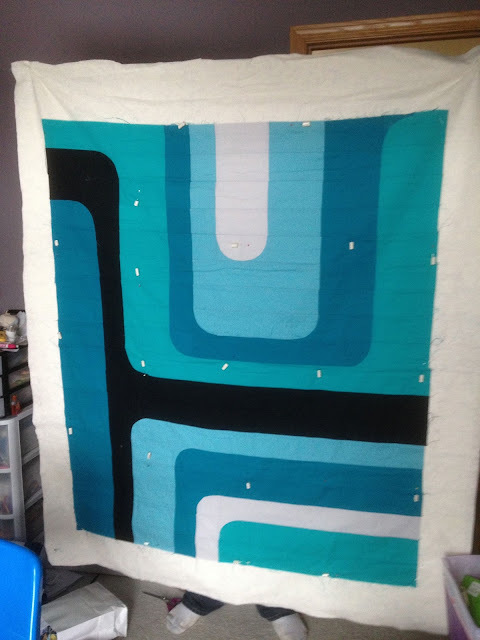 My favorite thing is seeing a quilt come together. The time and amount of pieces that it takes to complete a quilt. My current goal is the finish the projects that I have fabric for. Professional looking quilting done by me. Appliqué is a technique that I would like to learn about, so I feel more comfortable doing it. 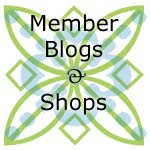 I am a quilting blog addict. I find so much inspiration from them. Start small, so you can complete something. 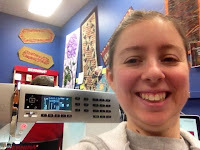 I think you should bring that groove top for show and tell sometime Caitlin, I want to see it close up, super cool!